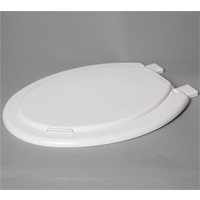 A choice of PP toilet seats, suitable for all standard floor and wall mounted toilets. With choices including: soft close, quick release and Long-life stainless steel hinges options. The Quick-Release hinges allow for tool-free removal of the plastic toilet seat for cleaning of hard-to-reach areas.